Successfully Added Wireless Camera In US Style AC-DC Adapter + Receiver -NTSC to your Shopping Cart. One of the most original and cool Cameras to come out for a very long time, this covert device is a wireless camera built very inconspicuously into very realistic looking USA 2 prong wall socket AC-DC wall adapters shell. A very hard item for anyone to spot, simply plug the adapter shell into a wall socket, and it will transmit video up to 20 Meters away. 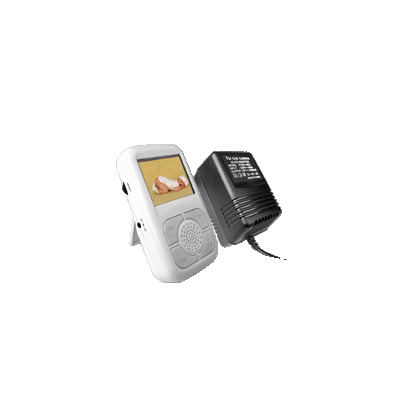 Also included in this great covert deal is a high quality wireless receiver with a 2.5 Inch Screen and AV OUT for getting a good look at the video you will be receiving. Trick anybody and have loads of fun with Chinavasion's one of a kind power adapter wireless camera and receiver set. Note: The adapter is a shell only and can not power any electrical products. This product uses the NTSC color system.. Recommended Range for Objects: 1-6M. Max effective range 8M.